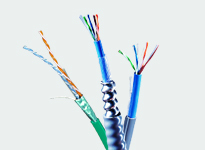 Connectivity that features a simplified termination process and tools which can be completed quickly by technicians of any level of experience. 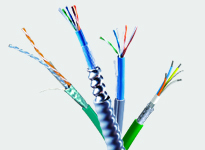 Connectivity that adapts to today's needs for high performance and emerging applications. Field termination of Ethernet cables can be a significant time sink, especially on bonded-pair technology where you traditionally needed to separate all twisted pairs before installation. 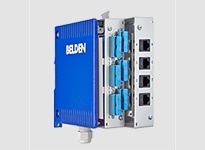 Belden’s Industrial REVConnect RJ45 connectors deliver a faster, simpler and universal cable termination solution, complete with a unique insulation piercing mechanism. The universal core makes it easy for engineers to troubleshoot signal transmission issues. If the RJ45 connection is compromised, one can simply replace the outer jack without having to re-terminate the cable. This connector not only saves precious time in the field, but it also guarantees maximized network uptime and performance, even in the toughest industrial environments. The Industrial REVConnect RJ45 connector is built with UL94 V-0 materials and features to combat vibration, shock, extreme temperatures and more. The ruggedized solution is ideal for RJ45 industrial applications requiring field termination of Ethernet Cat5E, 6 and 6A cables with 22-24 AWG. 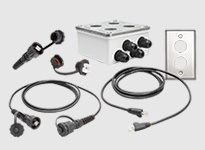 The versatility and ease-of-use of the connectors are skill-independent—ensuring quick adoption among rising generations of system integrators.